Currying Interest in Indian Cuisine From its Arrival in America to its Rise in Chicago Presented by Colleen Sen, PhD Author, Culinary Historian “The history of Indian food in America has been largely neglected, even though it is much older than Chinese American cuisine,” says Colleen Sen, PhD, one of our nation’s foremost authorities on South Asian food. Please join us as Colleen regales us with a buffet of flavorful facts about one of the world’s greatest cuisines, and its long-simmering impact on our nation and our city. A few tidbits: · The first Indian cooks arrived a decade after the founding of the Jamestown Colony in 1607 as servants to British “Nawabs” who came to America after making their fortunes. · Curry recipes were featured in most 19th century cookbooks. · America’s very first ‘bad boy’ celebrity chef was an Indian, Ranjit Smile, who hit the New York culinary scene in 1899 and made front page headlines with his exotic dishes and his frequent run-ins with the law. · Faced with tightening immigration laws in the early 1900s, Indian farm workers in the Sacramento Valley married Mexican women and created a hybrid Indian-Mexican cuisine, including “Hindu pizza.” · In Chicago, the first Indian restaurant was the House of India (1963), followed by Bengal Lancers (1969) –15 years before the first restaurant on Devon Avenue.. · For a finale, Colleen will dish on Chicago’s current South Asian food scene. 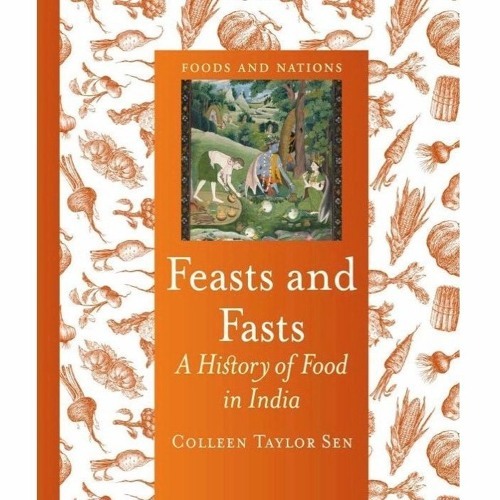 BIOGRAPHY: Colleen Taylor Sen is a Chicago-based author and culinary historian focusing on the food of the Indian Subcontinent. She has written many articles and seven books, including Food Culture in India; Curry: A Global History; Menus; Feasts and Fasts: A History of Food in India (named one of the best food books of the year by Vogue and The Smithsonian Magazine); and, most recently, The Chicago Food Encyclopedia (with Carol Haddix and Bruce Kraig).